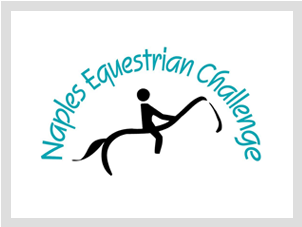 Established in 1995 in Naples, Florida, Naples Equestrian Challenge, Inc. (NEC) is a non-profit 501(c) 3 organization with the mission to improve the lives of children and adults with special needs through therapeutic riding and other equine-related programs. With a dedicated staff and group of volunteers, NEC, a Professional Association of Therapeutic Horsemanship (PATH) Premier Accredited Center, provides therapeutic riding and other equine-assisted activities and therapy programs to more than 500 participants each year. Through donations and sponsorships, the organization is able to provide this vital therapy to those who need it most, regardless of income level. For more information, visit www.NaplesEquestrianChallenge.org.